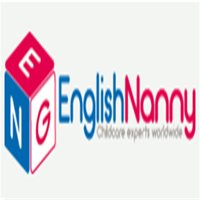 English nanny-tutor is needed for the girl 3 years of age. The family is looking for an active British nanny-tutor who can do full nursery duties around the children, including the cooking (easy children food), wardrobe, hygiene. The agency knows the family personally and they are a great one with good sense of humor . Teaching English to parents is also demanded. The father is a beginner and the mother is intermediate level. Family prefers candidates up to 30 years of age Family has a small dog. The house of the family is in very center of Moscow, so it means the tutor can go to cafe and etc after the job or when she has some free time during the day. Start date - Beginning of February, 1-2 weeks paid trial will be involved. LOCATION : Moscow center (Ostozhenka), Russia SCHEDULE : 2 weeks on 2 weeks off; 10 hours a day, flexibility SALARY : 200-230 pounds per 10 hour day; Economy class return ticket to the UK or Europe is provided for 2 weeks off. ACCOMODATION : family offers a separate room for accommodation but can consider a separate flat .